Sign up to Intuit Quickbooks Online through us before June 2018 and save over $400 per year. We are offering the Quickbooks Online Plus package at only $5.50 per month for the life of your subscription. Don't pay $38.50 per month. See what's included here. ﻿We work closely with individuals to ensure they are able to make the most of their tax return in a timely & efficient manner giving them peace of mind. If you're a sole trader, contractor, or operate a company or trust, we can help you manage your business and remove the worry of handling the finances. Running a Self Managed Superannuation Fund (SMSF) requires time, knowledge, and effort - and we have all three. We love SMSFs. We think they're fun. Is this you? 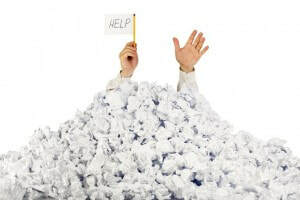 Are you stressed about keeping up to date with your paperwork and bookkeeping for your business? Can we make your life easier? Whether you need a little or a lot of help - we don't mind. Visit our bookkeeping website for more information. Accountant for All Trades is a specialised service offered by us to keep you on the tools and focused on your goals. We offer pricing plans that help you with those pesky administration and accounting issues which we find awesome. Find out more by visiting our tradies website. ﻿​"Julie Redmond has been our accountant since the beginning of our business. Julie helped us to understand the financial underpinnings of establishing a successful business. Today we owe a lot of our success to Julie's proficient accounting knowledge. Comparing Julie’s practice to other accounts, we love Julie’s vast accounting knowledge base and her willingness to share it when we’re stuck with those tricky questions." - Rory Fink, Footscray, Partner of Luna Events, client of 8 years. ​"Julie is a great accountant. She is friendly, and always ensures I receive the most tax back that I can. This means I can put the money towards other things that I love doing." - Michael Lagerwey, Plenty, Carpenter, client of 6 years. "[Julie] provides excellent service and advice and she is always available to listen to my stupid questions. 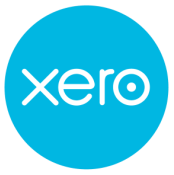 Having previously used an incompetent accountant with no communication skills its great to now have someone looking out for me so I can focus on my business and not the paperwork. If you're looking for an accountant try Julie first." - Matt Carter, Blackburn North, Business owner of Aurora Locksmiths, client of 4 years. Want to let us know how you feel about our services? Leave a comment below! "If you're looking for an accountant, try Julie first."